This is the lifestyle you have been looking for. Gorgeous views from every window, hiking trails right out the back door, fishing rights in the Florida river. 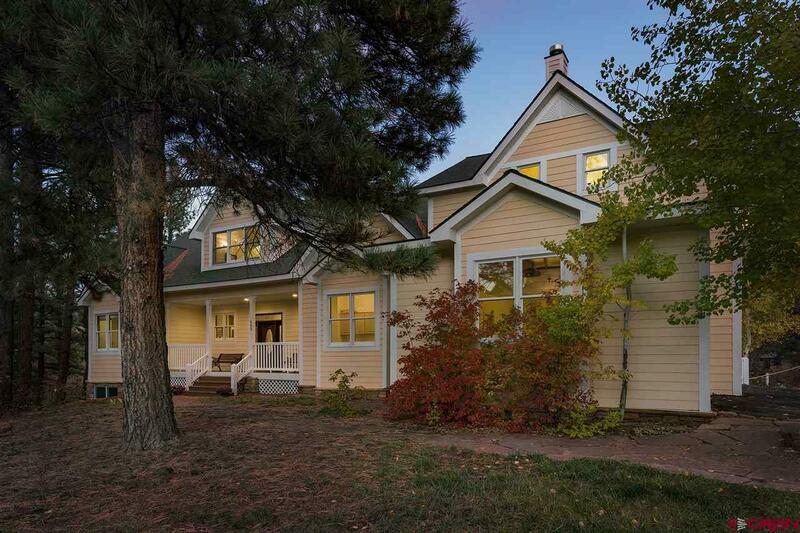 This lovingly build custom home is nestled into a forested 1.1 acre lot of tall fragrant pines in the beautiful Edgemont Ranch. Country Gabled home with rustic elegance. 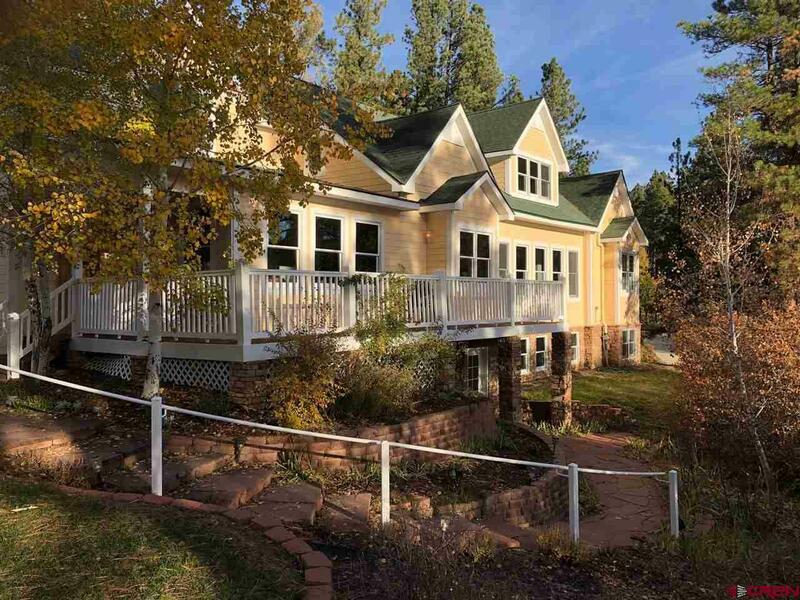 6 BR/4 1/2 BA in the heart of Edgemont Ranch with decks on three sides of the home. 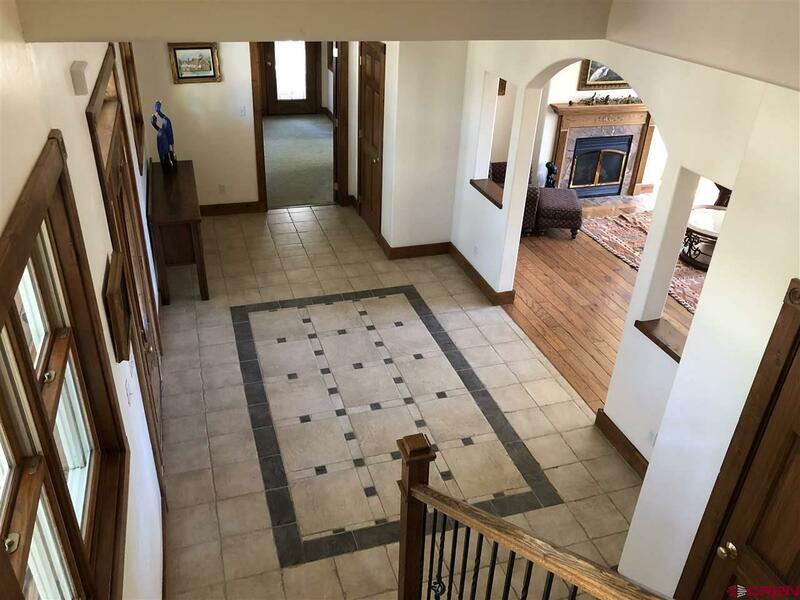 You enter the main level into a large foyer with high ceilings of over 9 feet high throughout, and decorative tile work. The foyer leads into a large living area with huge windows that look out onto the mountains to the east. Enjoy the beautiful sunrise every morning as the sunlight streams into every room. The living room is open to a French country kitchen with granite slab countertops, huge island with gas cooktop and ample seating. Jenn-Air refrigerator with custom paneling to match cabinetry. The eat in kitchen is open to the large dining area with a high peaked ceiling and even more oversized windows. Enjoy access to wrap around deck and beautiful views while dining casually at the island or family style in the dining area. Living room features hardwood flooring, gas fireplace, recessed lighting and many large windows with an eastern view of beautiful rock crested hills. Main Level Master has windows on the east, north and west sides of the house for views all through the day. 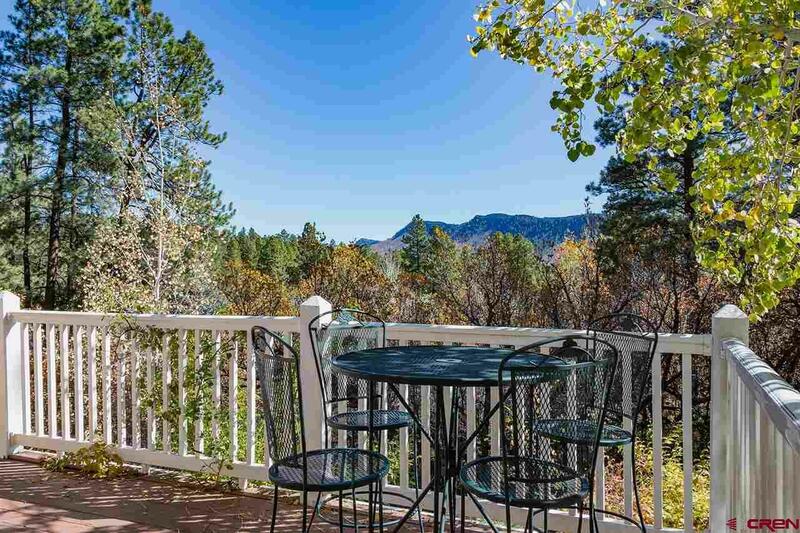 It has a private covered deck on the north side overlooking the neighborhood. It features carpeted flooring, his and hers walk-in customized closets. Master bathroom features marble tile flooring, his and her vanities and marble tile countertops. Large built-in soaker tub and a walk-in glass shower. Main level also includes a powder room and a spacious utility laundry room. Most doors are 3 feet wide. UPPER LEVEL features carpeted stairs lead up to an enormous den/office/family room with glass French doors and a unique star framed ceiling and an additional natural gas fireplace. There are 3 large bedrooms, a loft and 2 full baths. There are 100s of sq. ft. of storage space in the ample closets. One of the bedrooms is a suite with sitting room and 2 large closets and could be used as an additional master suite. The LOWER Level Walk out is as bright as the rest of the house. This area can be accessed through the house or through its own separate garden entrance. Very bright with many large windows throughout facing east, north and west. Lower level features 2 BD/1 Jack and Jill bathroom. Full kitchen, and large living/dining room. Walk in closets, extra-large utility laundry room which includes washer and dryer. An additional room could be used as office/den/craft/workout area or home theater. This large expandable floor plan can be used in a variety of ways: as one large home with areas for everyone, or the lower level can be separate for multigenerational home as a home for family members that need their own private home within a home. It can also be used for caregivers to the family or as home offices. The comfortable flow of this floor plan must be experienced to be appreciated as to just how comfortable this home is. Oversized 3 car garage, in-floor radiant heat with dedicated hot water heater. Utilities LPEA: Avg $74 (high $93/low $62) Atmos: Avg $68 (high $123/low $34) ERMD for water/sewer $159 plus water usage, EPGA: $363 per year.